Verizon has announced that it has started rolling out the Android 5.0 Lollipop update for its Samsung Galaxy S4. 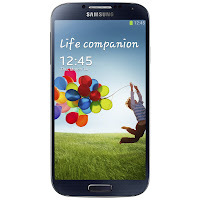 AT&T started rolling out the same update for its variant of the Galaxy S4 earlier this month. Verizon's software update for the Galaxy S4 will bring the LRX22C.I545VRUGOC1 build number along with several new features and improvements. With the Android 5.0 Lollipop update, your Galaxy S4 will be treated to a Material Design inspired TouchWiz user interface, an improved lock screen, and a new multitasking screen. You can find a complete changelog by following the source link below. The update will be rolled out in stages, so it may be a few days before your Galaxy S4 on Verizon can be updated to Lollipop. If you don't receive the OTA notification, you can try manually checking for the update on your device by heading to Settings > About Device > Software Update > Check for Updates. While its great to see both major US carriers treat the two year old Galaxy S4 to Lollipop so quickly, its disappointing that the carriers did not opt to directly take the handset to Android 5.1 Lollipop instead. Given the amount of bug fixes Android 5.1 offers over Android 5.0, we hope the manufacturer has been able to fix any issues on Lollipop before pushing out the update for the Galaxy S4.